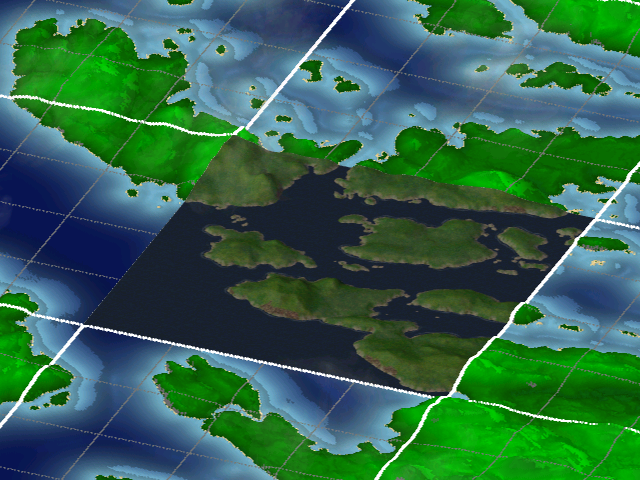 Location 1 is more water than land, with several islands scattered across the bay. There are no mountains blocking the way of development, only a few lumps that would be a minor inconvenience, so the only limiting factor would be the water. This is the area surrounding Location 1. 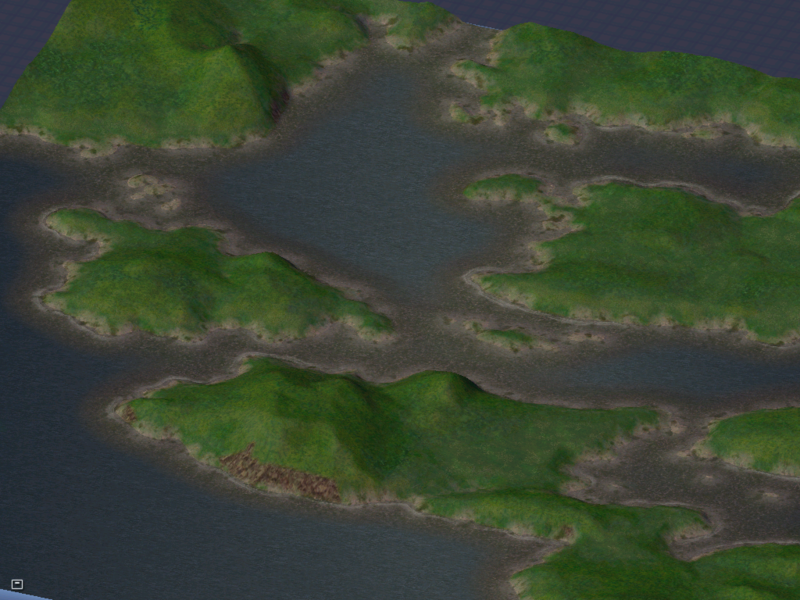 There are more islands around it, so a sprawling metropolis is a possibility in this area. If anything, it would be more likely to have a bunch of highrises than any other location. 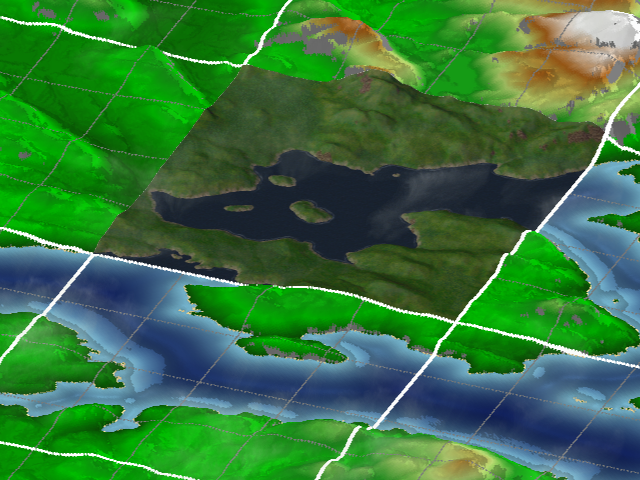 Location 2 has more land, but is also a very lumpy location. There are reasonably sized hills dotting the landscape, and are by no means gently rolling. There's a small mountain to the north, which would be a suitable perch for moderators. This is the area surrounding Location 2. The farther away from the water you go, the more hilly terrain you run into and the less likely a bustling metropolis can be built from the centre. That's not to say that it's impossible to build a metropolis; it would need a bit more planning. If natural beauty is your thing, then this location is for you. 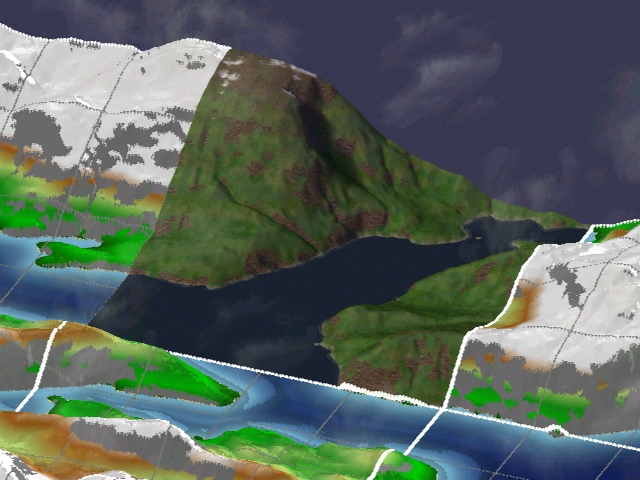 Location 3 is the toughest area to build on out of the three, with two massive peaks and a bay running in the middle. Constructing a city with a population over- I'd estimate 40,000- within the city limits would be a very difficult task. But then again, to accurately reflect the number of members who sign in on a regular basis, a city would only need a population of ~1,000 at most. As you can see, Location 3 is on the northern edge of the entire region. Expanding would be required to attain a combined population of over 100,000, as nearby locations all provide some flat land, but not enough to construct massive cities. So yeah, pick your favourite spot! Voting ends in ONE WEEK. EDIT: As for the lack of trees in each location, it's tough to see what the land entails with them there. So once a spot is chosen, I will do some gardening and then construction will begin. 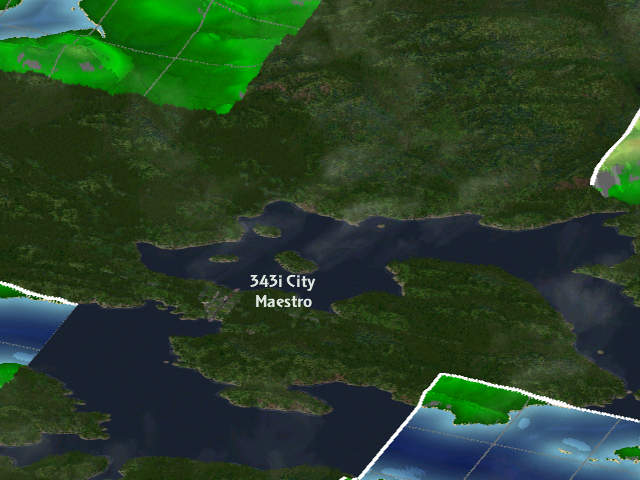 Also, regardless of location, 343 City will have at least one neighbouring city, as cities do not function alone very well in Simcity 4. I'll be updating how construction is going whenever I can. But between work and looking at post-secondary, I'll make sure to update at least once a week. Location 3, it looks the best. "I am only one, but I am one. I can't do everything, but I can do something. The something I ought to do, I can do. And by the grace of God, I will do." ( Take that medclorians ) or something like that. i think looks the best. Just because you can get some awesome bridges into it. Location 2 in my opinion seems the best stylized for what the Forums really are, the Staff perched on one side watching over the masses, sometimes crossing over to lay down the law, and the members, not aware of what's going on on Island 2, as they are prohibited to leave their own island until they advance. Location 1. Different islands, different subforums. Also would take skill to build a good looking city. Second pick would be location 3, because it resembles my city, but my city also resembles a landfilled sinkhole of air pollution, sound pollution and light pollution. I go for location 3, I'd imagine seeing city buildings and structures around the bottom of that mountain would look cool and bridges stretching over to the other piece of land connecting the two city landscapes together. Location 2 would be my second to pick. First off, I'd like to thank everyone who has voted and replied to this thread so far! I'm pumped to start the groundbreaking and getting everything underway. Thus far, I've been gathering a whole bunch of custom content, mainly small residential, commercial, and civic buildings to prevent an overflow of dreadful Maxis buildings from popping up everywhere like weeds. I've got a reasonable collection of taller buildings as well, but I don't need to worry about those nearly as much since little buildings pop up far more frequently than skyscrapers. So many duplicated buildings and one-way streets everywhere...! Also this was a screenshot of one of my cities built over five years ago, when I didn't know how to lay out a city to save my life. I've also been looking at getting some bridges as well, since every location I've chosen will need at least one bridge. The issue with bridges, however, is that they need a specific length or shore height in order to look presentable. I've found as much Halo-related content as well, what little there is. 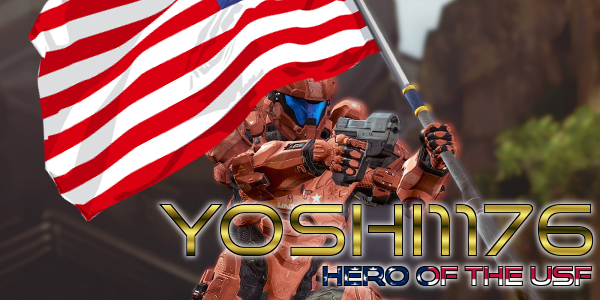 Regardless, you will recognize one piece, and maybe a couple more if you paid a lot of attention to ODST. If 343 City becomes a bustling metropolis, you may start to see some tall buildings from cities around the world. Which brings me to my second point. I've been looking extensively at each location and have started developing some plans on how a city can be laid out to fully utilize what the land has to offer and where to set up main thoroughfares. I've been giving Location 3 more attention because that seems to be the favourite location so far and also requires the most planning of all locations to make it look half-decent. 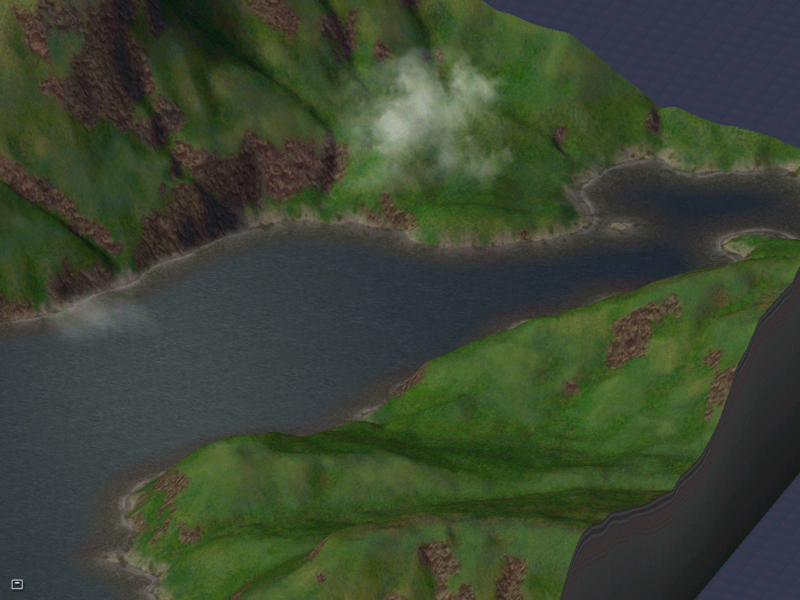 When you build on relatively steep slopes in Simcity 4, it produces hideous and insanely steep cliffsides. @ Yoshi: You can get a Sim named after you, but chances are he won't look anything like you or be able to navigate NAM (it's a transport mod) road systems. Darn pathfinding issues and just sheer Sim stupidity are the downfall of every "My Sim" inhabitant you add into any city. I'll name a building after you instead. @ Da Baws: Funny that you mention getting bridges in Location 3... custom bridges are most likely to work on its shores. @ Ranger447: I thought the force that binds the universe was gravity! @ Halo5follower: Uh... which one? @ Eddy: Heh, symbolism. Location 1 would also be a similar idea, would it not? @ Magical Love: Your hometown's also the source for many towers on Simtropolis. There's an entire team dedicated to recreating buildings from Hong Kong for use in Simcity 4. 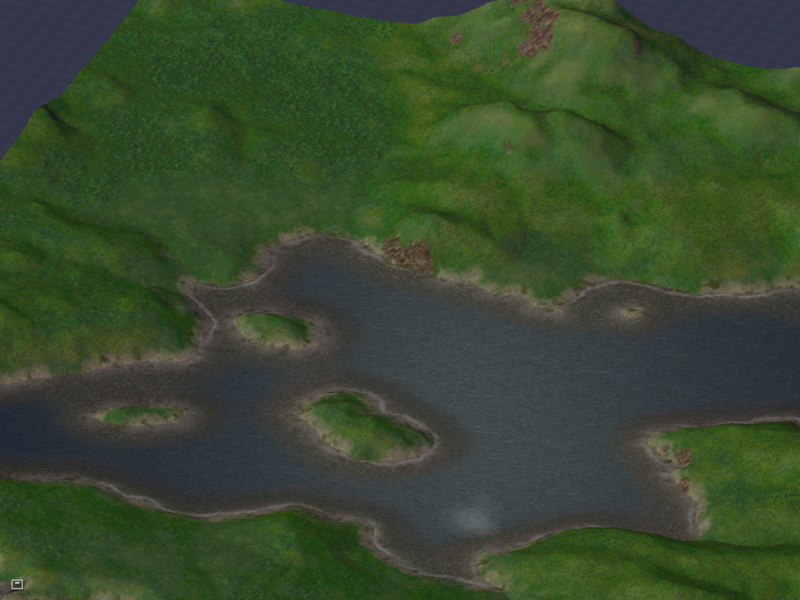 @ adam91: Hopefully I can get the population in Location 3 to grow enough so that large buildings start appearing at the base of the mountain. I posted here before but some for reason my post didn't load properly. I chose Location 1 because I think it would best suit a 343.org City. Location 2 seems like the best one to make 343City the best city ever. Before groundbreaking begins, I have to resolve a glitch regarding sidewalk textures... for some reason, red cobblestone shows up in front of high wealth residential and commercial buildings, and the rest of the sidewalks show up as regular grey sidewalks. 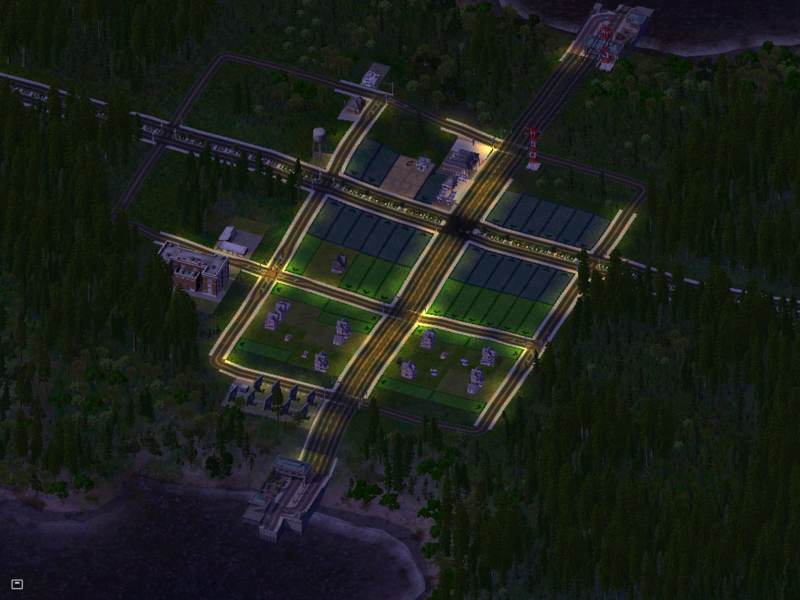 I also need to get a few more small buildings, and then 343 City will be ready to go! Here, listen to some music while you read! Also, read the spoiler. 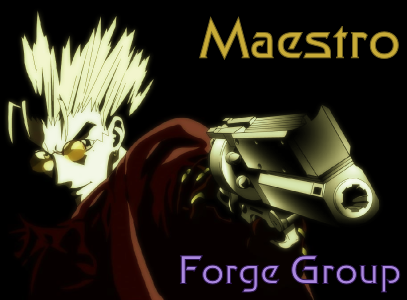 DISCLAIMER: All of the statements said by members below are based on their respective roles in the forum, their interests, how active they are on the forum, and/or their usernames or profile pictures. Any jokes and pretty much everything they say are not meant to be taken seriously or offend anyone and in no way reflect their actual personality. This is all in good fun, so let me know in a PM if you don't like what you see. Otherwise, if you find it funny, give me a sign! 343i City Founded, Members and Moderators Celebrate! Construction on 343i City is finally underway! After a week of city council meticulously planning the layout of 343i City and the future populace voting on a location, groundbreaking of various properties around the city and one major motorway has taken place. With a total population of 142 residents, and the establishment of a small clinic, police precinct, and fire station, as well as an elementary and high school, citizens are optimistic about the newborn city's future. "Mayor Maestro seems like a pretty stand-up guy," a green member who wished to remain anonymous stated. "We can trust a guy like him, with over ten years of city building experience under his belt, to guide this city to prosperity. I'm glad I voted for him in that mayoral election that totally happened on February 29 back in Cyphern's election of '0π. Been voting for him ever since then." Many in the town has been singing praises, including the upper ranks of the local precinct. "I'm confident in our police force's abilities. Our team is a well-rounded group that upholds the laws in which Governor Twam has set forth," the Chief of Police, RedStarRocket91, told the 343 Bulletin. "As 343i City grows, I firmly believe that our team can keep the crime rate low and maintain the peace as long as Mayor Maestro builds precincts accordingly. But for the time being, the Stig doesn't even have to worry about people peeling out on his roads!" He also remarked on the town's firefighting squad. "Our firefighters are the best of the best. They've put out many flame wars before they even start!" A sailor by the name of Edward Kenway also expressed his opinion of 343i City's location. "Arr, there be plenty o' fish and whales in Bungie Bay fer me mateys an' I to catch!" However, his opinion was not wholly positive. "There be some wicked creatures lurkin' in the deep. Some call the location the Trench of the Banned. Ye never know what sort o' critters ye be reelin' in when ye weigh anchor thar!" However, local healthcare workers are worried. Local pharmacist Vitamin PWN expressed his concerns over the town's ability to get much needed medication. "With the lack of infrastructure in place, it'll take weeks to bring in a measly bottle of aspirin. I've heard time and time again from DoctorB77 that he doesn't want to operate on anyone using mushrooms collected from people's bathmats or random shrubbery purchased from people who say 'ni'. Headaches have to be treated in ceremonies led by questionable folks in robes on the shore near the Trench of the Banned, and don't get me started on nausea." Vitamin PWN hopes that an airport is constructed in the near future so cargo aircraft can bring in precious medicine much faster than the town's ferry boats. DoctorB77 could not be reached for comment. Bnus commented on the town's current lack of communication equipment. "I couldn't help but notice that as soon as I finished hauling my stuff into my house and checked my cellphone, I didn't have a signal. I'm glad I have my ham radio and know how to communicate using smoke signals!" Overall, the town is hopeful for the future. Although everyone has their own concerns, the Mayor has said that they will be addressed as they become prevalent. He also went on to say that the positions of superintendent, fire chief, and utilities advisor are open. A sailor by the name of Edward Kenway also expressed his opinion of 343i City's location. "Arr, there be plenty o' fish and whales in Bungie Bay fer me mateys an' I to catch!" His opinion was not wholly positive. "There be some wicked creatures lurkin' in the deep. Some call the location the Trench of the Banned. Ye never know what sort o' critters ye be reelin' in when ye weigh anchor thar!" 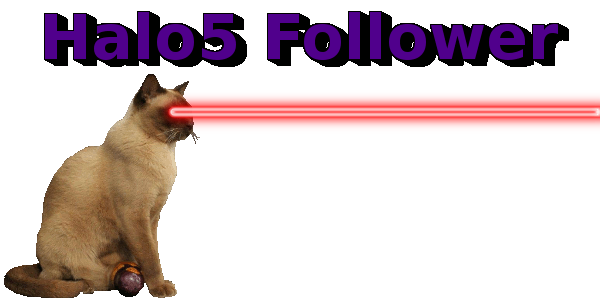 Edited by Vitamin PWN, 10 February 2014 - 09:24 PM. Nice! Can't wait to see how it turns out. I think i need to visit Dr. Vitamin PWN... I feel a bit ill.
Edited by Yoshi1176, 10 February 2014 - 09:31 PM. Did you manage to find a doughnut shop o_O? I think i need to visit Dr. Vitamin PWN... I fell a bit ill.
Will I make it doctor? How bad is it you gotta help me!